This is the first Malevich exhibition that ventures to show the artist’s link to the Russian tradition by including three icons. And yet, the presentation fails to do justice to Malevich against the backdrop of Russian history. We still continue to project a Western concept of modernism onto the work of this Russian artist without questioning whether this concept is relevant for the artistic context of Russia at the start of the twentieth century. 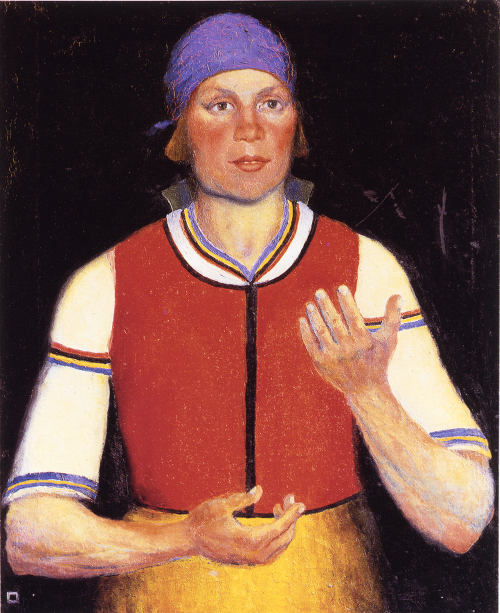 Malevich began his artistic work with impressionist, symbolist, and Fauvist paintings, featuring Russian peasants and including elements of iconic painting. These were followed by cubo-futurist works, alogical, and cubist works. His painting is regularly presented as a continuous series of individual styles, following modernism’s faith in progress. 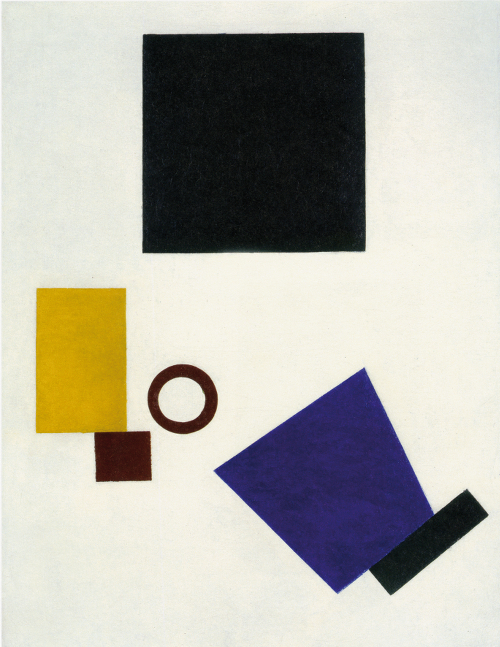 But Malevich painted in several styles at once beginning in 1910. There are cubist works already from 1911, not only from 1913, as most exhibitions seem to suggest, and there are also paintings of peasants and so-called alogical works from the same period. With this approach, Malevich was not alone in Russia. As the large 1913 Moscow retrospective of the painter Natalia Gontscharowa revealed, she also painted in several styles at the same time. She used this strategy consciously, as the critic Ilia Zdanevich pointed out in his lecture on the exhibition, to subvert Western modernism’s claim to hegemony and leadership based on progress. Indeed, a kind of insurgency spread around this time in Moscow against Western modernism’s claim to superiority, accompanied by a revaluation of Russian traditions, like that of the icon, which was not an image of reality. 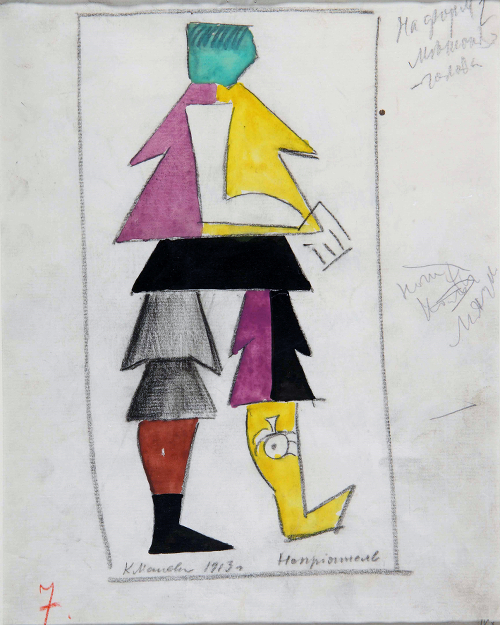 This is illustrated not only by statements made by Gontscharova and Larionov but also by Malevich himself, who considered an approach to the absurd an appropriate strategy for subverting Western dominance. For example: with alogical paintings that question a relationship of the image to reality that is based in reason, and thus does not take account of the illogical, dreams, illusion and the unconscious. 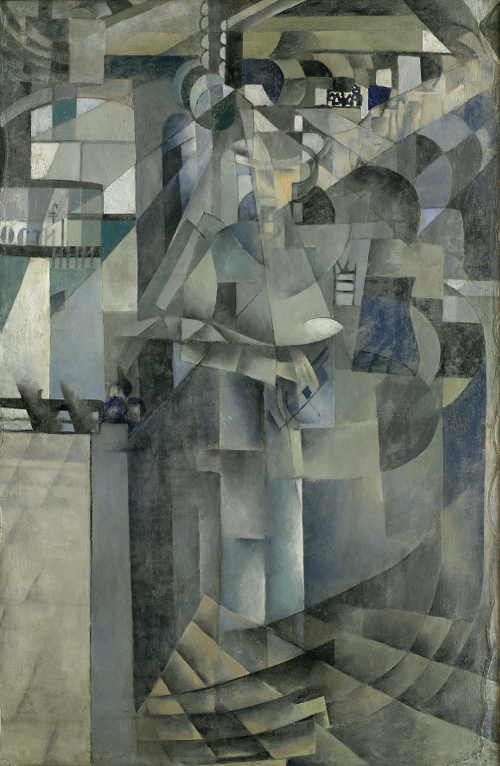 These paintings, like Lady at the Poster Column from 1914, which already includes two monochromatic squares, along with his set designs for the opera Victory over the Sun were the real predecessors of the Black Square and not, as is repeatedly suggested, Malevich’s paintings in a cubist style. The opera, which was premiered in 1913, is an example of absurd theater, provoking the question of whether it was not intended as a parody of reason instead of paying homage to it. 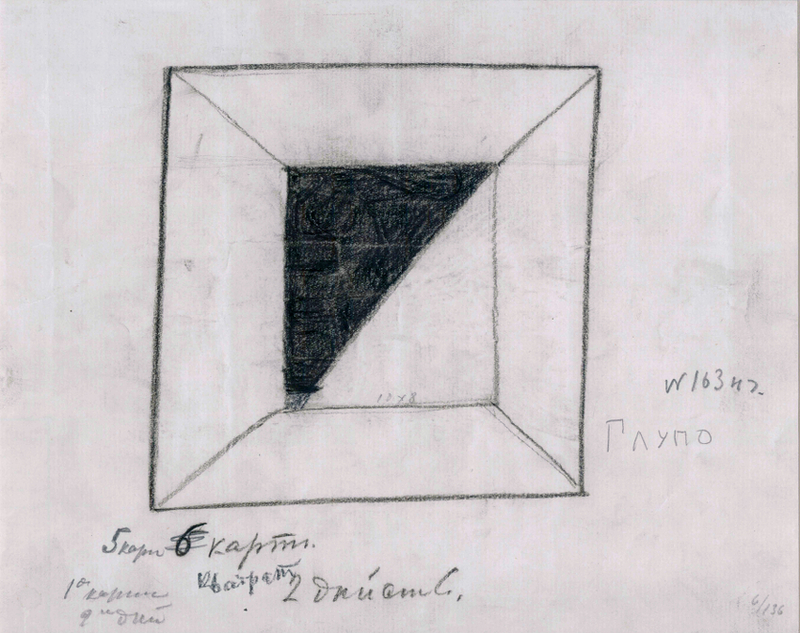 A small 1915 drawing from the Chardschiew Collection, also on view in Bonn, sheds more light onto Malevich’s approach. It shows the outlines of a square in which the word derevnya (village) is written. Below, Malevich notes that it is better to write the word village than the paint one, since anyone could immediately conjure an image of a village in all its details with just this word. 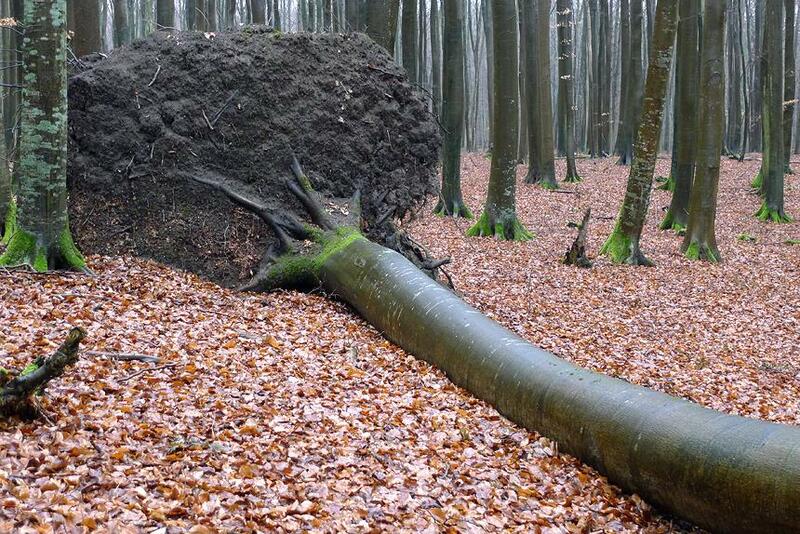 The drawing was entitled Alogism 29, Village. It not only anticipates the conceptual art of the 1960s, but also shows that Malevich did not understood his non-objective paintings—he never used the term abstract—as pure abstraction. After all, many of the suprematist paintings have titles that evoke figurative associations. The red square painted against a white backdrop from 1915 is actually entitled Painterly Realism of a Peasant Woman in Two Dimensions (and not, as is frequently claimed, Red Square), while another painting with two squares from the same year is entitled Painterly Realism of a Boy with a Knapsack. 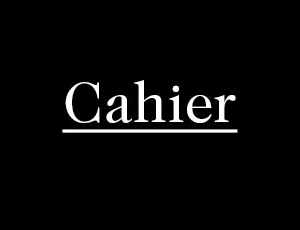 These titles, when linked to the abstract shapes, also attest to the artist’s rather absurd approach. Malevich also called his figurative paintings from after 1928 that show mostly peasant scenes suprematist. It is simply wrong for these paintings, as in all prior exhibitions, to be shown separately from the artist’s non-figurative work. 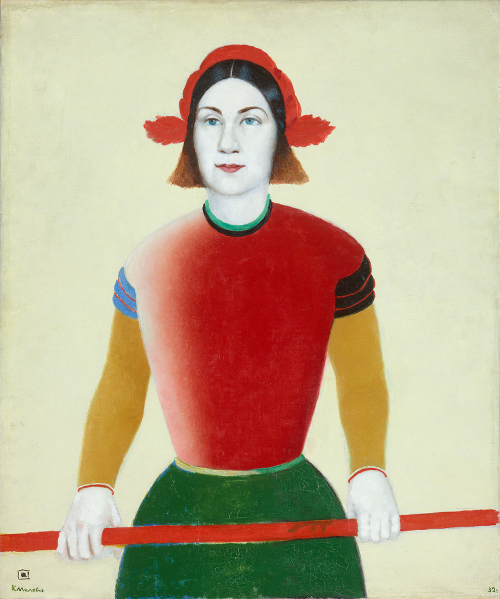 Malevich also painted non-figurative works during this period, and it is unforgivable when a title like Suprematist Transformation of a Peasant Girl is suppressed and the 1930–32 painting is simply retitled Woman with Rake. It is generally astonishing how unabashedly Western researchers and curators have repeatedly changed the titles of these paintings. The question of why this highly conceptual artist returned to the motif of Russian peasants in 1928 has not been explored until now. This is quite surprising for Western researchers trained in iconography, considering that a good two thirds of the artist’s entire oeuvre consists of peasant motifs. Malevich already painted peasants before 1915, and after 1915 they accompanied the non-figurative paintings in their titles. As of 1928, they resurface as figures. 1928 was the year when the defamation of the peasantry—the last remaining independent group of the population after the 1917 Revolution—as the most reactionary element of Soviet society began. It was to prepare psychologically for the next year’s collectivization of agriculture, which not only had economic reasons, but also sought to crush autonomous peasant culture, still often untouched by Western influences. Collectivization became one of the greatest tragedies ever committed by a government against its own population. Painting peasants in this period as saints exuding dignity—unlike most previous exhibitions the Bonn show also presents several of these works—indeed to paint peasants at all was suicidal at the time. So this raises the question not only why did Malevich paint peasants, whether his peasant paintings after 1928 were not a conscious cry against the destruction of Russian peasantry and its culture, to which, as he repeats several times in his writings, he felt committed his whole life long. And with this we arrive at the actual problem in the previous Western reception of this painter’s works. Most Western Malevich experts speak no Russian and were thus unable to read his writings, since only few were translated until recently. 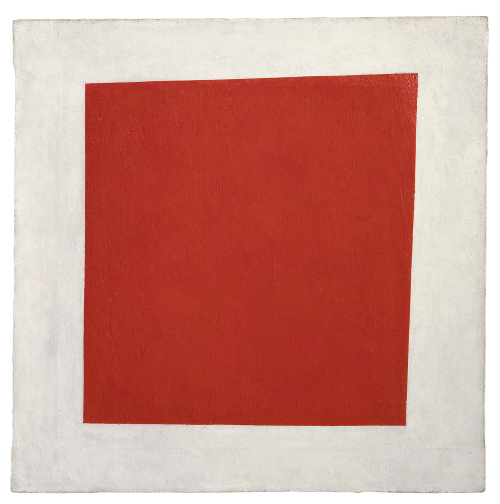 But for Malevich the conceptual artist, his writings played a decisive role. Is it conceivable for a Russian art historian to claim expertise on Jackson Pollock’s painting without speaking English? Hardly. 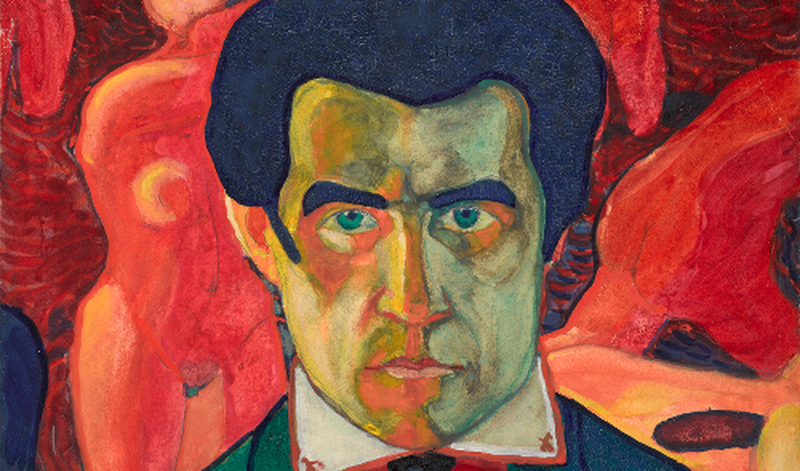 The exhibition in Bonn thus moves full circle, ending with realist portraits of Malevich’s mother, wife, and daughter. He also painted his father in a similar style, in 1902, as shown by a painting from the Chardschiew collection. Malevich returned back where he started. Perhaps this loop itself could be understood as an absurd undertaking, for it parodies the faith in progress in which the Russian peasants tragically had to believe. It was no accident that Malevich was friends with Mikhail Bakhtin, who became world-renowned for his theory of carnival and parody as a strategy of insurgency and critique. And it is surely no accident that during his time as director of the Leningrad Institute for Artistic Culture in the 1920s the artists and poets of the group OBERIU, that were also called absurdists, were given space for their performances. Finally, Malevich dedicated his own text God Is Not Cast Down to the absurdist Daniil Kharms by writing: “Go and Stop Progress!” When Malevich died in 1935, it was Charms who read his poem “To the Death of Malevich” at his funeral. It was the last public appearance of the poet and founder of the group before he disappeared forever in prison. It is now time for Malevich’s work to be freed from the ideology of modernism and placed in the context of Russian history.